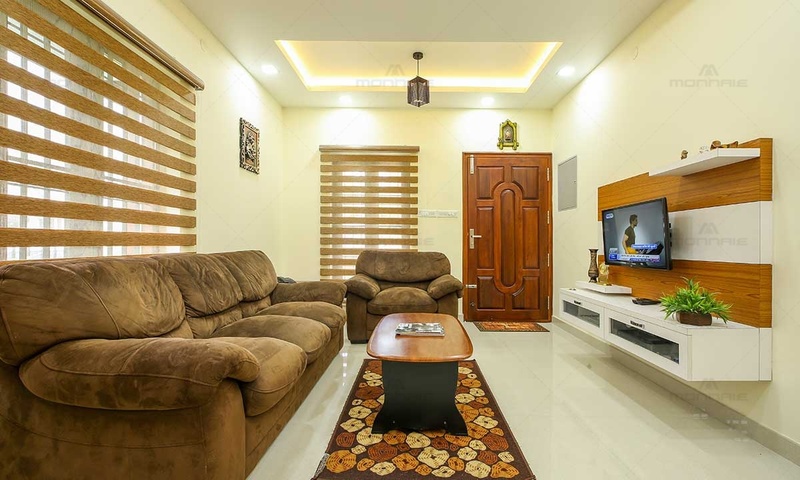 A perfect example of a minimalistic interior décor. 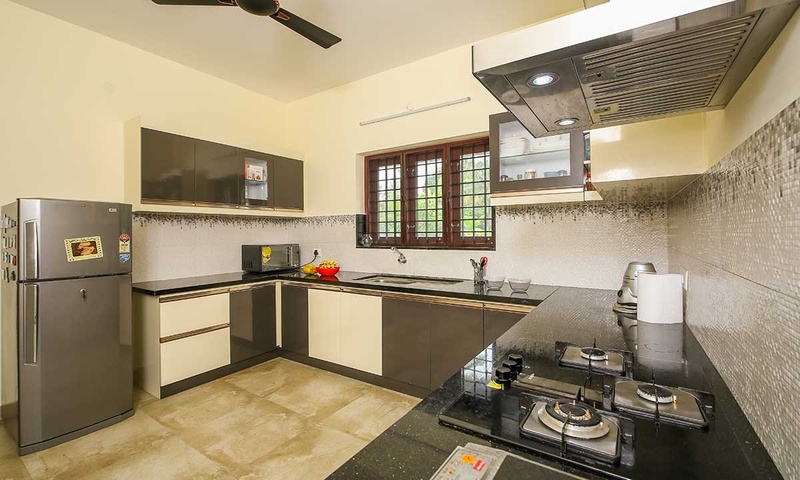 Designed around the interests of its occupants, all the spaces are treated with utmost simplicity giving way to a low cost Kerala house design. 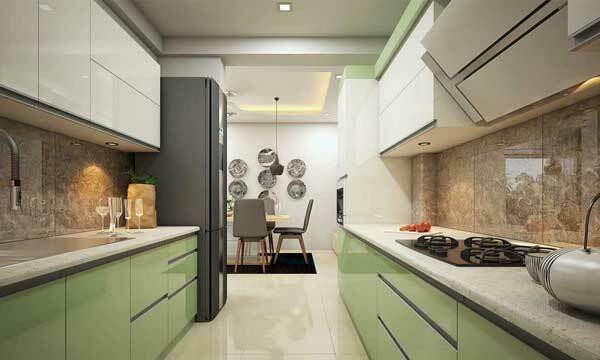 Using a simple colour theme along with bringing in natural light makes the small spaces seem larger. 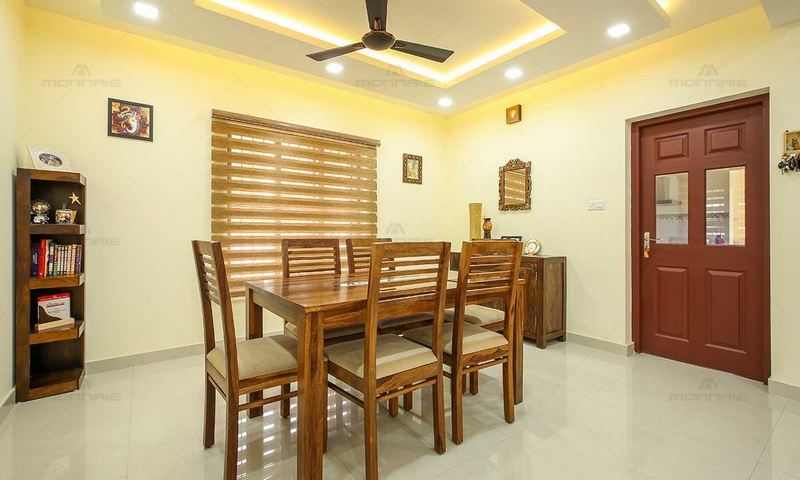 Minimalistic use of furniture and other objects in home décor makes interiors breathable and offers good health and happiness to its residents. 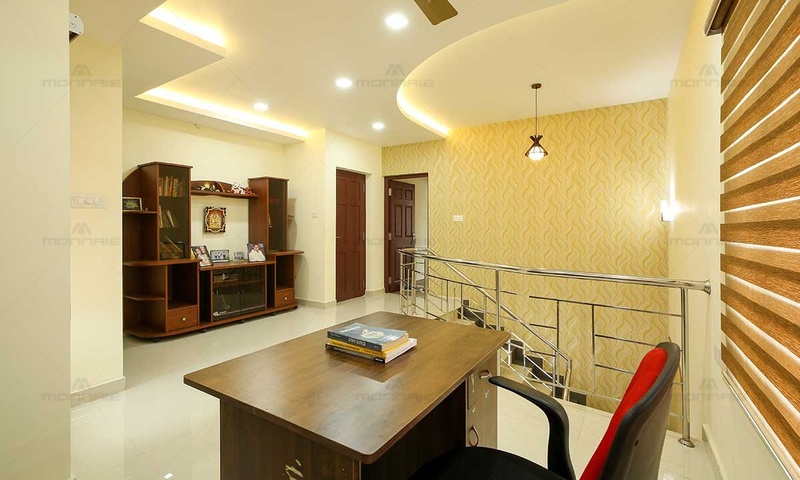 Textured walls and the simple gypsum false ceiling designs is a refreshing take. 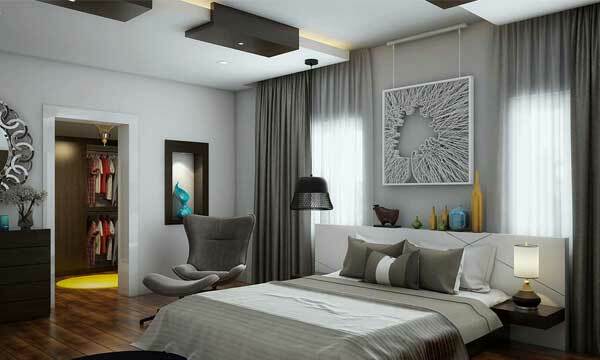 The use of blinds instead of curtains brings in a more open feel to the interiors. 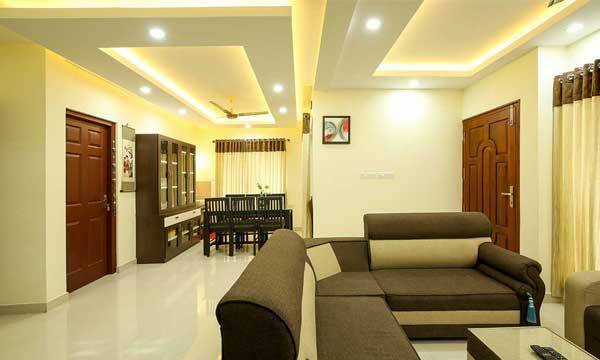 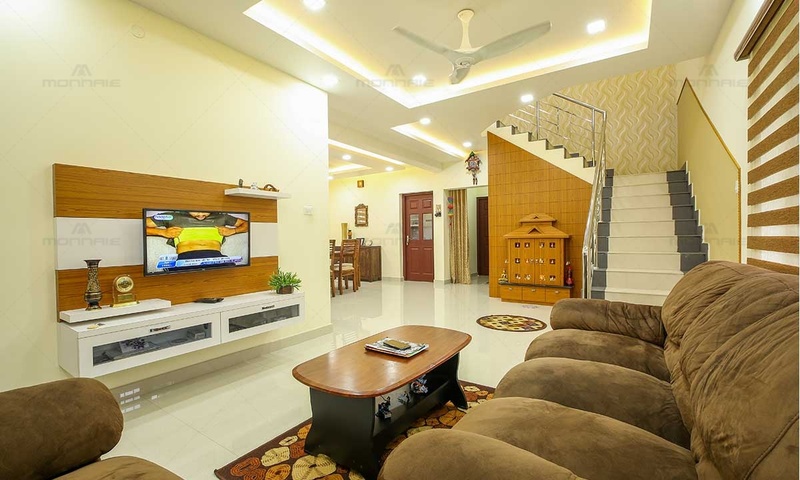 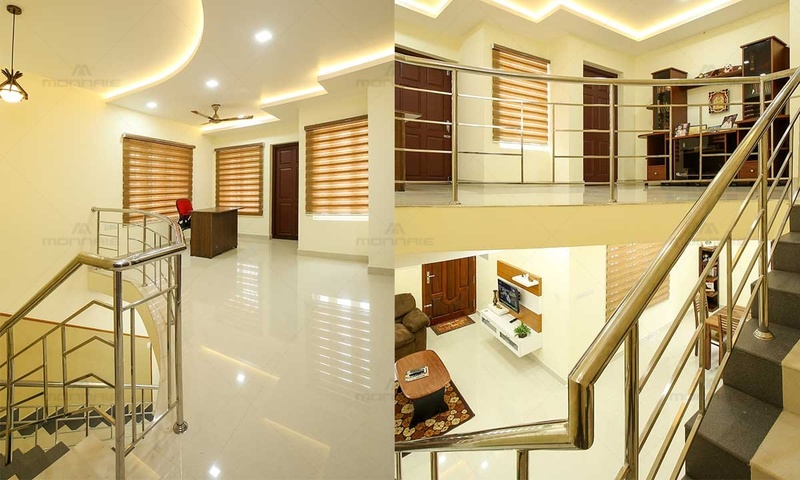 As one of the top interior designers in Ernakulum, Kerala, we design our space with uncompromising standard ensuring a hundred percent user satisfaction.